Jaguar could steal a lot of Tesla customers with this new EV. Jaguar has finally pulled the wraps off of its first all-electric model, the I-Pace, with a 90-kWh lithium-ion battery powering an electric motor on each axle totaling 395 horsepower and 513 lb-ft of torque. Thanks to its light aluminum construction, the I-Pace can hit 60 mph in just 4.5 seconds and travel around 240 miles on a charge. The 2019 I-Pace will be available at Jaguar dealerships starting in the second half of this year and we finally know how much it will cost when it arrives. The I-Pace will start at $69,500 in the U.S. (plus $995 destination) before any federal or state incentives. EV buyers can still qualify for a $7,500 tax credit and additional state-level credits. Anyone buying an I-Pace in California can potentially cut $10,000 off the price of the car. Jaguar said the I-Pace would be priced similarly to the Tesla Model X, but the final price is much lower than we expected. The I-Pace undercuts the cheapest Tesla Model X 75D ($79,500) by a whopping $10,000. The 75D has similar driving range as the I-Pace, but can't match the Jaguar in performance. 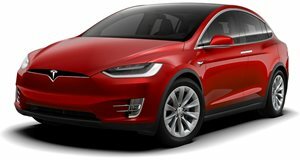 The Model X 100D is closer to the I-Pace's performance, but starts at $96,000. The two SUVs aren't completely comparable because the Model X has an option for a seven-seat variant. The I-Pace is only a five-seater, but its lower price could attract a lot of potential Tesla customers.